With leather jewellery being so popular at the moment, there is now a plethora of cord ends on the market to neatly finish off your jewellery. 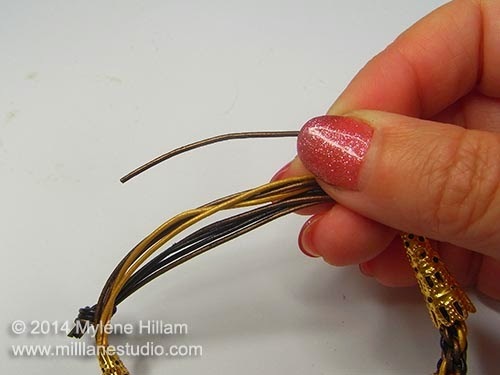 But sometimes, the best way to finish leather jewellery is not with a cord end at all. 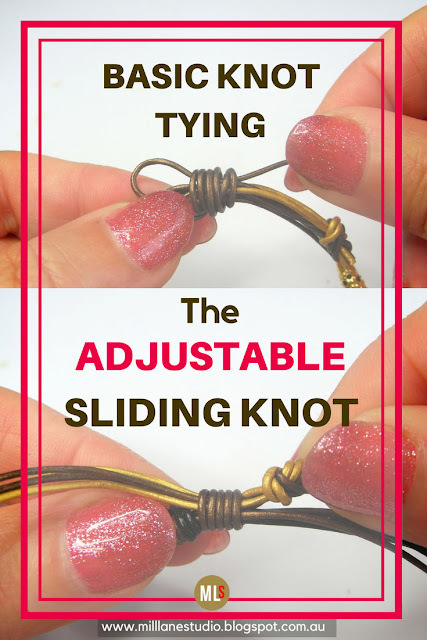 Sometimes, the best way is with a sliding knot. The beauty of this knot is that it's adjustable to fit the wearer and there is no clasp required. 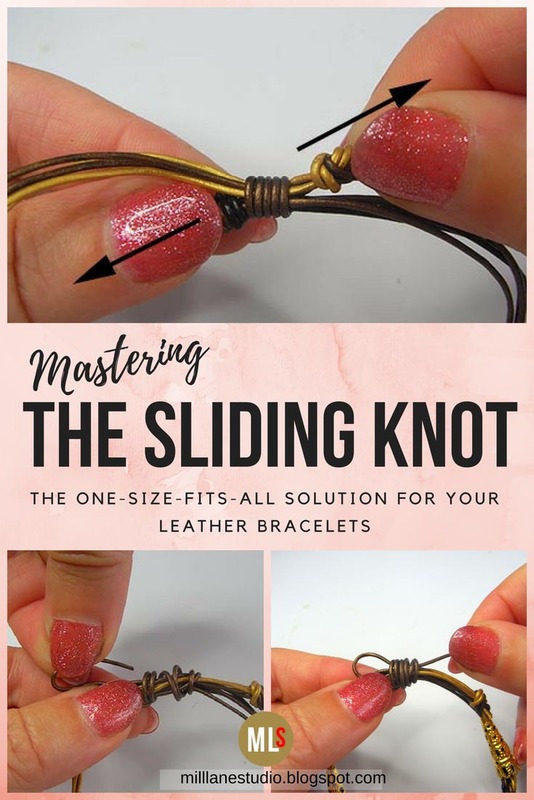 So let's take a look at how to make it. I've already made my bracelet and knotted off the cord ends to keep them in a neat bundle. 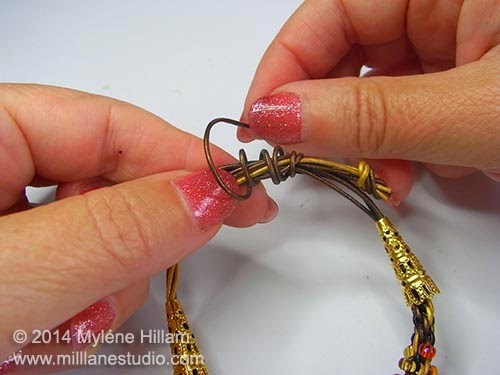 Form the bracelet into a circle with the ends overlapping. 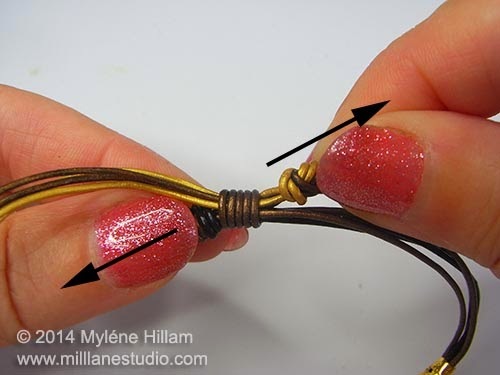 Take a length of cord about 20cm (8") long and hold it about 4cm (1 1/2") from one end. 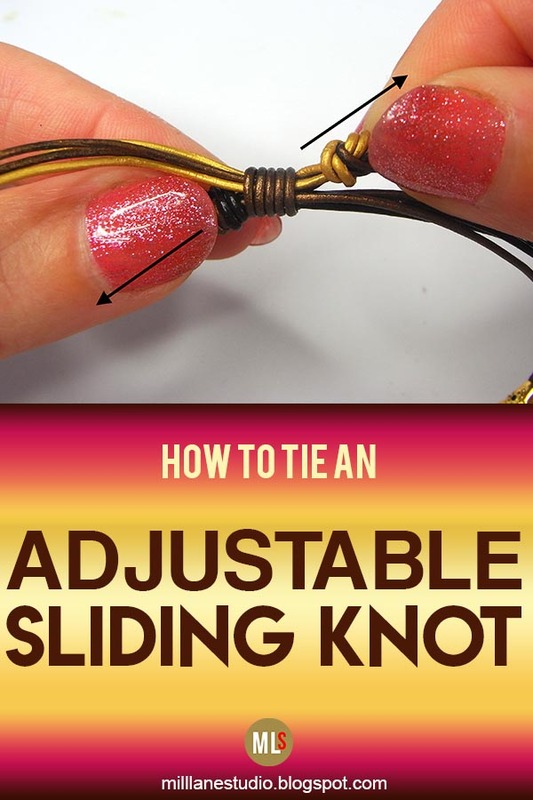 Place this along the bundle of cords. 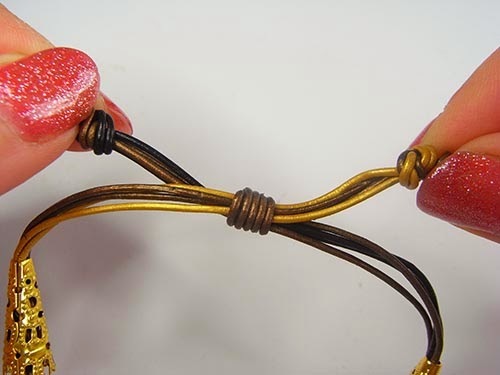 Hold it under the thumb of your non-dominant hand and with your other hand, begin to wrap it around the bundle of cords including the cord you laid down in the previous step. 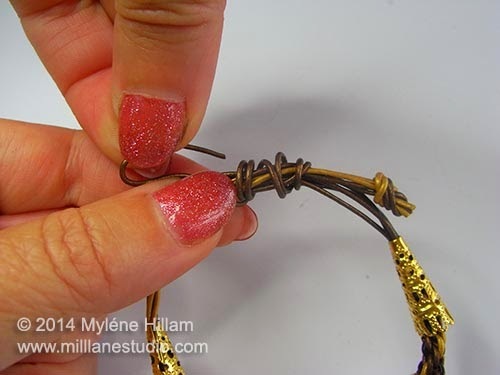 Continue wrapping the cord around the bundle loosely, working back towards the cut end of the wrapping cord. 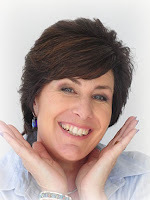 Make about 4 or 5 wraps. 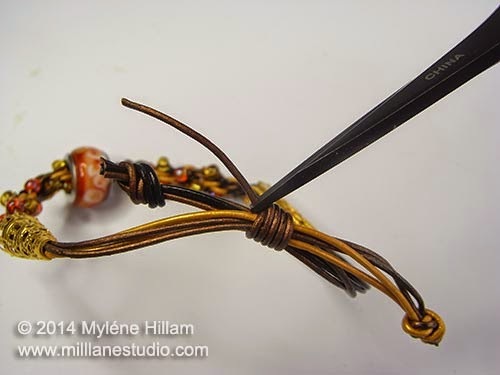 and pull it back out at the first coil. Next, adjust the coil so it sits neatly and pull both ends of the cord in opposite directions so that the knot is secure. 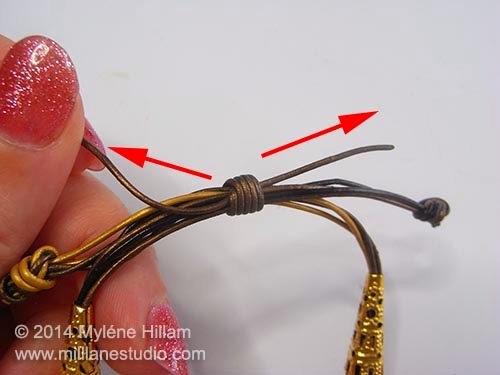 Trim away the excess cord close to the coil. 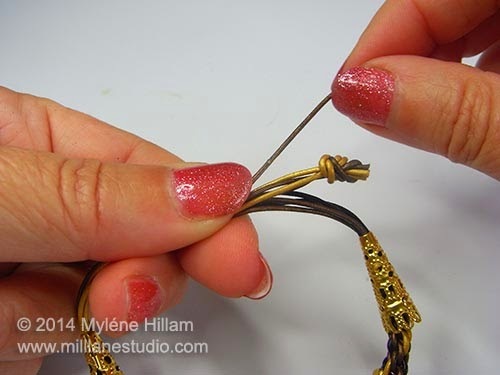 To tighten the bracelet, just pull the two knotted bracelet ends in opposite directions. 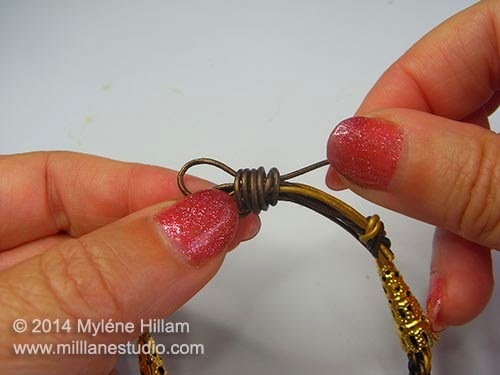 To loosen the bracelet, grip the bracelet cords (not the knotted ends, but the bracelet itself) next to the coil and pull them - they will slide through the knot making the bracelet larger. And there you have it! 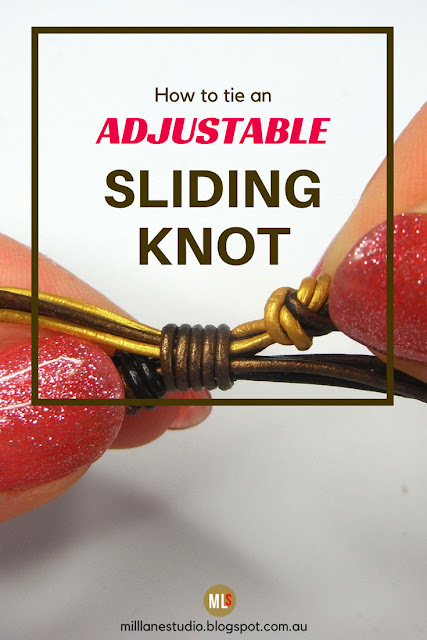 A really neat way to finish a bracelet with no cord ends and no clasp!